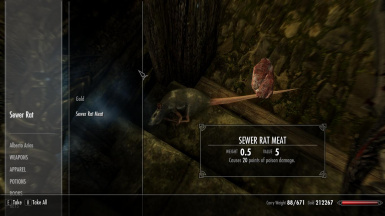 Add small non-hostile Sewer Rats to to the cities of Skyrim with this mod. You will find them on the streets, halls of dead, sewers and jails. 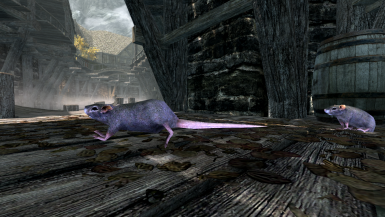 This mod adds the common small sewer rat into skyrim. 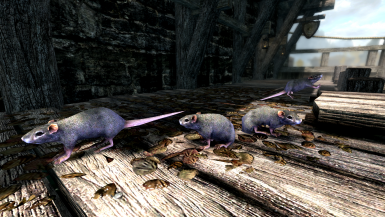 Not the big rat race from previous TES games﻿, and neither their cousin Skeever. 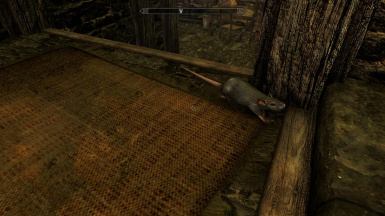 The rats that this mod adds are the small and common ones, that carrie diseases, and live in the cities and sewers. They are non-hostile, very fast, and do not occupy the same locations of skeevers. You only will find them inside cities, on the streets, halls of dead, sewers and jails. 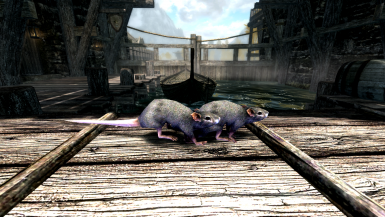 Their numbers are balanced and fair, and they do respawn and they drop rat meat that will not be good to your health. 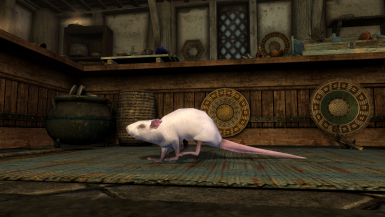 Some alchemists have white ones as pets. - Immersion and more wildlife.